They are laugh-until-your-side-hurts funny! It's exciting to watch them weave hilarity out of seemingly thin air. Why See Colin Mochrie & Brad Sherwood? The Whose Line Duo LiVE! Master improvisers Brad Sherwood and Colin Mochrie have been stunning audiences for decades with their appearances on Whose Line Is It Anyway. As fans know, Colin's John Wayne impression is just about as good as it gets. 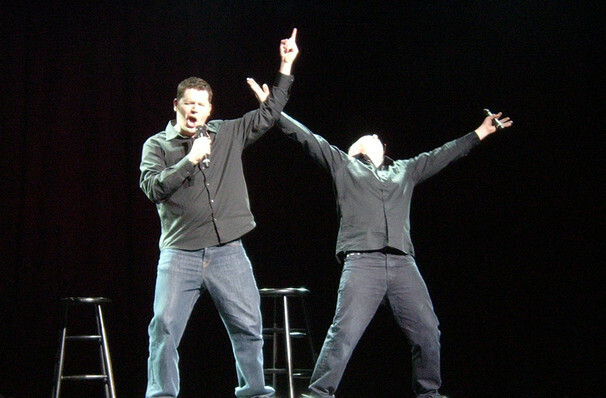 Now the two comedy greats are taking their show on the road once more. Just like Whose Line, the show is completely made up on the night, with Brad and Colin taking their cues from audience suggestions. So be prepared for high levels of audience participation! With no two shows ever the same, this is improvisational comedy at its mind-blowing best. Generally recommended for ages 8 and up, but as a large part of the show is based on audience suggestions, the content of every night is different. Seen Colin Mochrie & Brad Sherwood? Loved it? Hated it? Sound good to you? 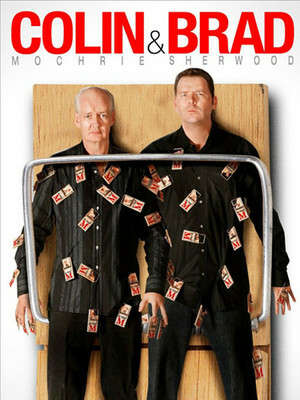 Share this page on social media and let your friends know about Colin Mochrie & Brad Sherwood at Niswonger Performing Arts Center - Greeneville. Please note: The term Niswonger Performing Arts Center - Greeneville and/or Colin Mochrie & Brad Sherwood as well as all associated graphics, logos, and/or other trademarks, tradenames or copyrights are the property of the Niswonger Performing Arts Center - Greeneville and/or Colin Mochrie & Brad Sherwood and are used herein for factual descriptive purposes only. We are in no way associated with or authorized by the Niswonger Performing Arts Center - Greeneville and/or Colin Mochrie & Brad Sherwood and neither that entity nor any of its affiliates have licensed or endorsed us to sell tickets, goods and or services in conjunction with their events.